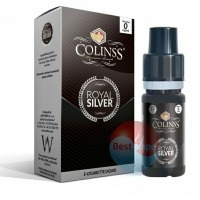 Full tobacco aromas soften the taste buds, making tobacco taste better than ever before. 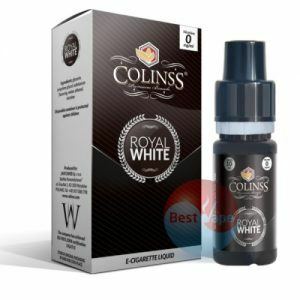 A soft tobacco e-liquid that at the same time delivers the maximum taste experience, a real sensational e-liquid for every tobacco lover. Mild tobacco flavour and taste. 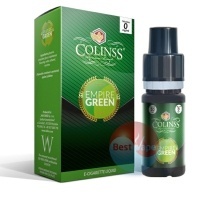 The e-liquid tobacco with no fries and a delicious taste with a perfectly balanced tobacco flavour. A very common taste that will certainly appeal to any tobacco lover. 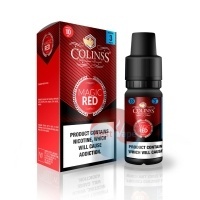 A spicy tobacco flavour that proves the versatility of tobacco. Exactly well seasoned and therefore one of the realists in all Tobacco. This is a mild tobacco flavour which will not overpower the taste buds. You have dark tobacco leaves and darkest tobacco leaves. This taste is full, heavy and intense while still giving a little sweet touch, which makes for a party in your mouth. Tobacco with mint in a balance to be jealous. A very pronounced e-liquid in which neither flavor prevails, which gives a delicious full and at the same time fresh taste. Sweet fruits combined with a sour. Perfectly balanced sweetener which creates a delicious fresh taste experience that you do not get enough of. A bomby taste of black currants, which provides a sweet taste experience that also adds a refreshing acidity. Mmmm, delicious fresh raspberries that provide a great fresh taste that of course is also very sweet. A fresh and subtle mint flavour combined with a sweet watermelon. Fresh sweet cherries with a fresh lemon. 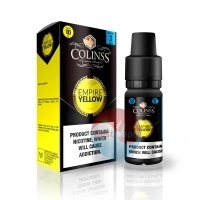 Sweets are no longer needed with this e-liquid, all the treats are filled with these distinctive flavours. Really a deep sweet taste of pineapple on a heavy syrup with the typical pure taste experience that makes Colinss so good. An excellent fresh and fruity red fruit e-liquid that will seduce every fruit lover to keep fumes. A sweet aroma combined with a fresh mint. This freshly-saturated e-liquid could even seduce every damper. WOW! This is a strong menthol flavour. Incredibly strong menthol taste, ultra fresh without that sticky after taste. A nice clean and fresh unsweetened menthol. An e-liquid for biting, from 2 flavours. The sweet taste of an apple combined with a delicious cake. And what do we get from it? Yes, an apple cake that brings a unique experience for those who appreciate an extraordinary e-liquid. A very good bilberry E-Liquid, which will remind everyone of a morning walk through the forest. When the liquid is consumed, an interesting, slightly biting taste is obtained in the finish. The whole is a unique feeling of taste. Refreshment at the top! A strong mint flavour that does not contain chewing gum that will not forget the taste buds quickly. Delicious sweet and sour cactus taste! Pretty fresh, a sweet sweet and fumes are very good. Open Happiness with this pure cola e-liquid! The delicious cola flavours you will taste with a little acid in the background that ensures a complete and full cola flavor as you are used to. Think strawberries with a touch of whipped cream.